On the surface, trying to write a comparative review of Linux Mint 8 (Helena) and Ubuntu 9.10 (Karmic koala) would seem like a pointless exercise. After all, Linux Mint is based on Ubuntu. So what’s the point? Well, as in cases such as this, where one product is based on another, there begins to emerge – at some point – a product differentiation. 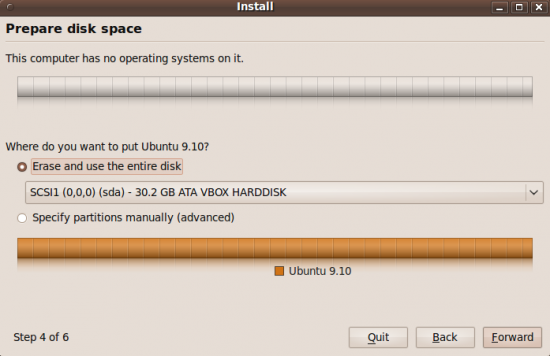 In the case of Mint and Ubuntu, that differentiation has been apparent almost from the first year of Mint’s existence. 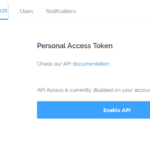 Even though it depends and it’s based on Ubuntu, the Mint team has been steadily and aggressively adding features and developing custom (graphical) administrative tools. Tools and features that you won’t find on any other distro derived from Ubuntu, and on Ubuntu itself. The folks at the Mint lab claim that their distro is based on Debian and Ubuntu, but I disagree. Truth is, it is based on Ubuntu, which is based on Debian. What I’m saying is that Mint is not derived directly from Debian, only by proxy. Ok, let’s get down to business already, and lets begin by looking at what they have in common. Both distros come in Live CD iso images. A Live CD-ed distro offer users the opportunity to test the operating system without first installing it on their computer. This is a very common practice in the Linux community, a practice pioneered by Knoppix (?). In addition to providing an option to boot into the Live mode, Ubuntu also gives you the option to install directly to disk without first booting into the Live mode. With Mint, however, you must first boot into the Live mode, unless you are doing an OEM installation. 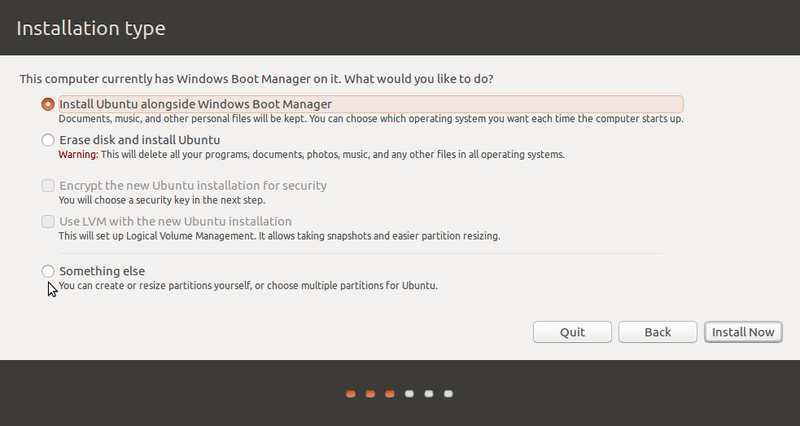 Installer and installation process – Ubuntu’s installation process, and, therefore, Mint’s, follow the same simple six-step drill (seven, depending on the options you choose). As Linux installers go, it’s nothing to write home about, but it does its job. The installer has no support for setting up LVM, RAID and full disk encryption (it is only capable of encrypting the home directory). 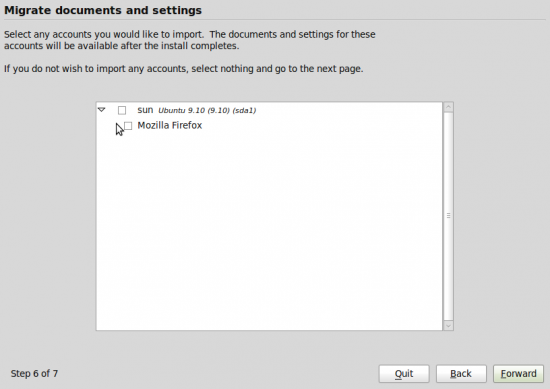 If you are trying to set up a dual-boot environment between Ubuntu and Mint, the installer will give you the option to import your documents and settings from the first operating system installed on the computer. It is not clear to me if this option is also available if you are trying to dual-boot between Ubuntu/Mint and any other operating system or if it is only available between Mint and Ubuntu. The option to import user settings from an existing installation of Ubunut or Miint if you are trying to set up a dual-boot environment. 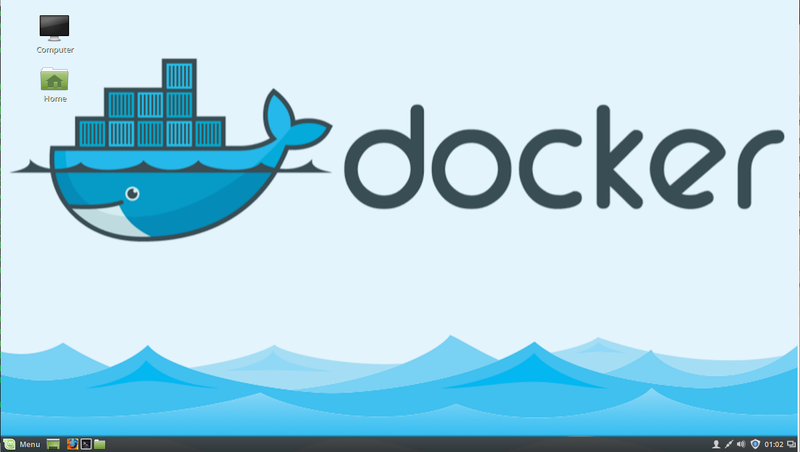 Same package manager – Since Mint is based on Ubuntu, and Ubuntu is based on Debian, they both use the same package manager – Debian’s Advanced Packaging Tool (APT), with Synaptic as the graphical interface. Like other graphical package managers, Synaptic makes it easy for users of all skill levels to install/uninstall software on either operating system. Applications installed – The software packages installed by default are just about the same, and those in their package repositories are the same too. 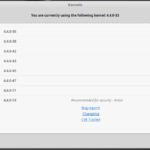 Graphical firewall client – Like Ubuntu, Mint ships with ufw, Ubuntu’s uncomplicated firewall, running out of the box. To make it easier to configure ufw, Mint installs Gufw, the graphical interface to ufw, out of the box. 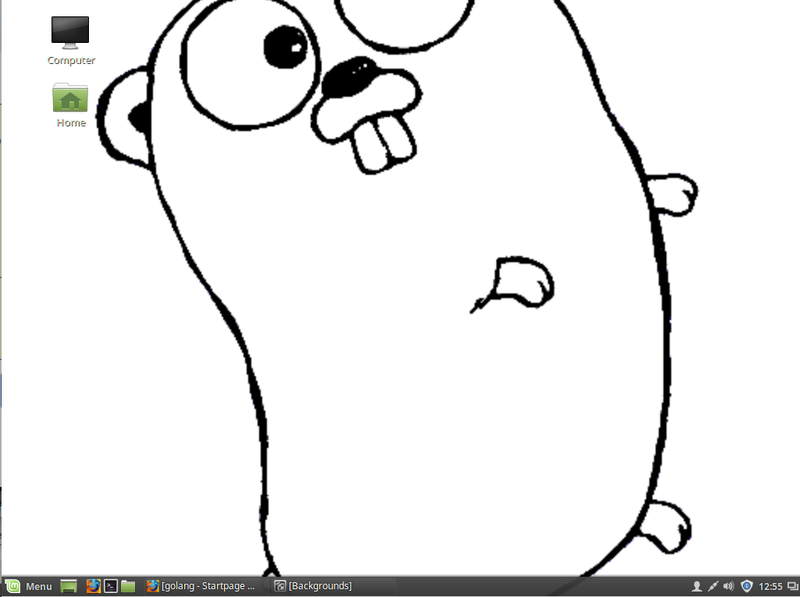 While installing and configuring Gufw is a breeze, we give Mint some props for installing it by default. 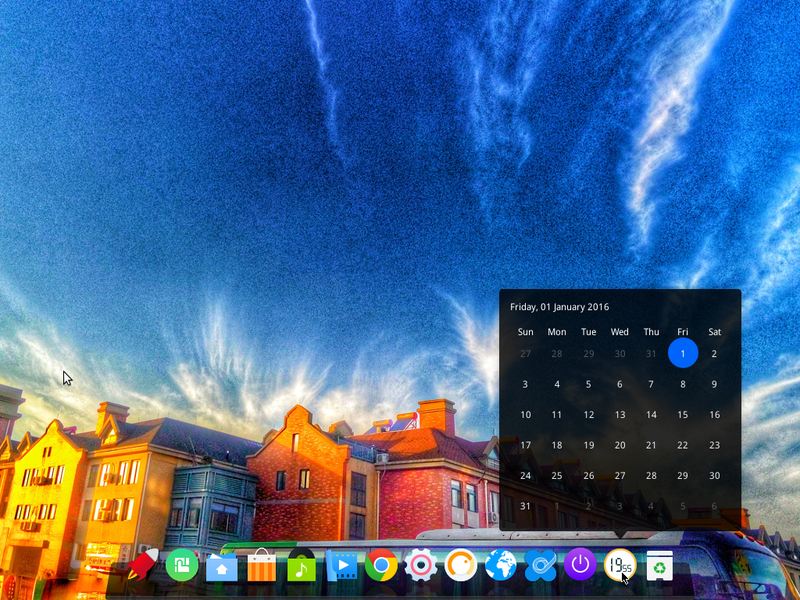 Next generation menu – Whereas the Ubuntu desktop features the classic GNOME dropdown menu, Mint’s desktop has a variation of the kickoff-style menu – mintMenu. 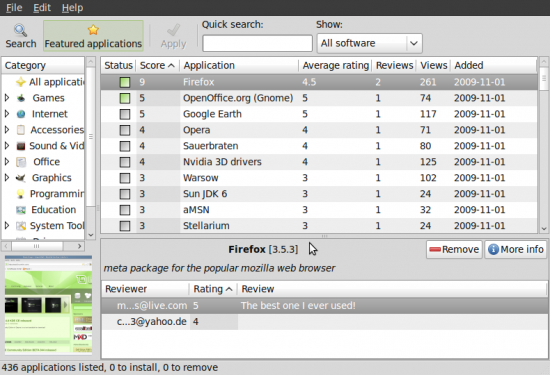 One really neat feature of mintMenu that makes it better than the Ubuntu menu, and, in fact, that of virtually other distros I’ve reviewed, is that it enables you to search for an application from the filter box, and if the application is not installed, offers you four options, one of which is to install the application (see all the options in the screenshot below). Mint's mintMenu allows you to search for and install an application right from the menu, that is, if the application is not already installed. Another neat feature of mintMenu is that by right-clicking on an application, it gives you the option to add it to the list of startup applications. Graphical administrative tools – Mint has more in-house-developed graphical administrative tools than Ubuntu. This list include mintInstall (the Software Manager), mintNanny, mintWelcome, and mintMenu. These are applications for which there are no equivalents on Ubuntu (ok, Ubuntu has Software Center, it’s own version of mintInstall, but …). 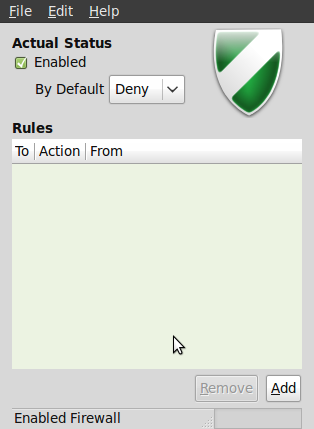 I should point out that Mint’s graphical management tools are not as feature-rich as the ones you’ll find on Mandriva. 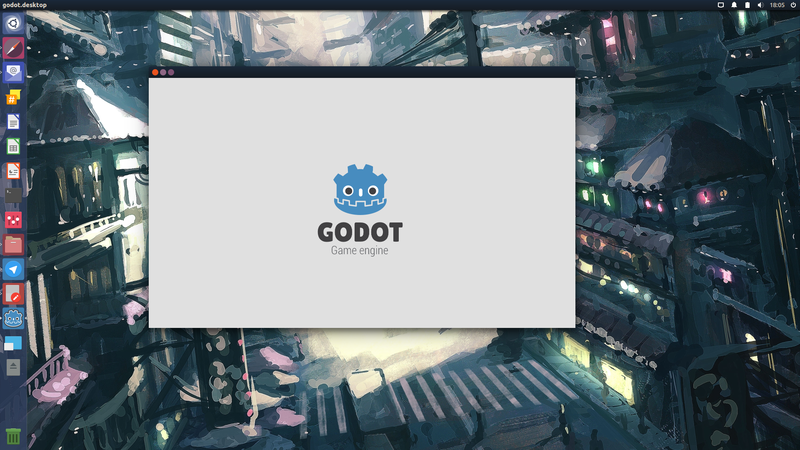 Totem is the installed video player on both distros. On Ubuntu, Totem is not able to play encrypted video DVDs (most, if not all, commercial DVDs are encrypted). For that, you will need to install VLC media player. On Mint, Totem wil gladly play your commercial DVD videos. Software Manager – Aside from being able to install and manage applications by using Synaptic and the Linux command line, Ubuntu and Mint offer a third means of managing applications. 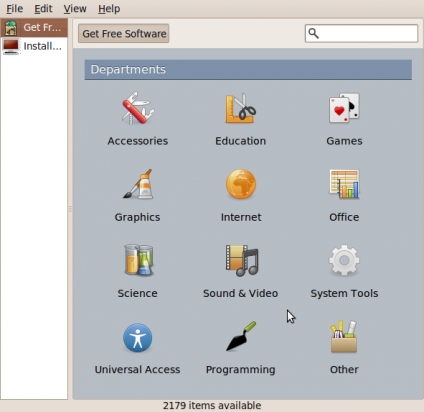 On Mint, it is called Software Manager (mintInstall), and (Ubuntu) Software Center on Ubuntu. While they are identical, Ubuntu’s Software Center is a work in progress, lacking some of the features available on mintInstall (all software applications are works in progress, but mintInstall is further along the development path than Software Center). Front page of Ubuntu's Software Center. Great article… helped me a lot to make a decision! Thanks. While I haven’t played much with the latest version of Ubuntu, I’ve always found it to be very customizable. While the customization options are not always obvious, I’ve always been able to figure out how to make Ubuntu my own, whether it’s by getting rid of the Unity interface altogether (and reverting back to Gnome’s traditional desktop), or installing a new window manager altogether. 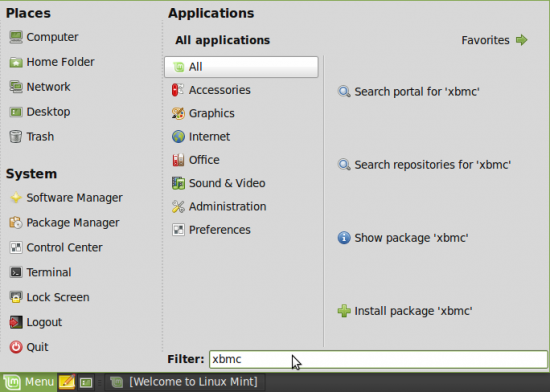 linux mint is great, but is just lack of deb packages. for instence mint only uses .mint or getdeb.net which ubuntu has alot of packages from ubuntu server. Nonsense, I just installed ubuntu tweak in linux mint 10. In linux mint you can’t format a drive by right-clicking on its icon. Also, the panel graphics and support is not the best. linux mint is good i like it coz it user friendly, this is a good post.thanks. There’s no need to dual boot any more…. Install your first choice OS, then use Virtualbox, or Xen, or VMWare, or even Red Hat and Windows 2008 has its own virtualization built in. My point is, why should you have to restart your computer to boot to another OS? You shouldn’t, just fire it up in a VM. I’d suggest that rather being 100% Ubuntu, which is a very bad thing, that distros try to stay focused on being 100% compatible to Debian. Ubuntu is drifting away from Debian and taking the lesser distros with it. This can only lead to frustration when you try to use a program saying its packaged as a .deb file and finding it doesn’t want to play with Ubuntu. No thanks, I’ll play with Debian, at least I know what I’m getting and I can add good stuff to it without breaking the system. Ubuntu will probably fail I’m certain, but we need to make sure it doesn’t drag the rest of the other Linux distros down with it. I don’t trust that. I want the actual supported version of dropbox on my machine. It appers that the developer has spent most of his time removing the word Ubuntu from occurring or appearing anywhere within the OS. This includes everythig from removing all wallpaper that does not have the “Linux Mint” logo on it, to renaming actual core programs to remove the word “ubuntu” from the name, and replace it with “linuxmint”… which of course breaks lots of things. Lots of apps will not run on Mint for this reason…. unless the developer specifically provides a “Mint-ified” version of the app. What a horrific nightmare. He seems most concerned that the user has NO IDEA that he is actually using Ubuntu. He wants the user to only know about Mint…. and thus only DONATE to Mint…. Ok. Whatever. He is definitely correct about one thing. Mint is NOT Ubuntu. 1) That’s a post-install script that checks what Linux-based OS you’re running. If you’re using GNOME, open up your system monitor and go to the “system” tab. You’ll see “Release” with the operating system release you’re using right after that. The script fails because it CHECKS for THAT SPECIFIC VARIABLE (or a similar one) and since it says you’re running Mint instead of running Ubuntu specifically, it quits itself. For pete’s sake, man, just edit the script to check if you’re running mint instead of Ubuntu and I PROMISE it will work 100% CORRECTLY. 2) Remastersys works fine (I’ve used it myself with Mint). Remastersys isn’t in the Ubuntu repositories either. If you actually TRY to use Remastersys with Mint, I can guarantee it will work fine as long as you don’t screw up the system too much (like, completely changing the repository lists). 3) Did you actually TRY installing Dropbox? 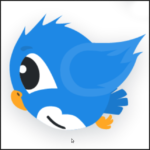 The patch IS FOR FLUXBOX, NOT GNOME. I’m running Dropbox on mint right now using the official .DEB from their website and it works great, absolutely no problems here. Besides, if you thought about it, you’d see absolutely no reason for Dropbox to NEED a patch to work on ANY Linux distribution (I have the official Dropbox running on Ubuntu, Mint, AND Arch Linux right now). 4) Read the Linux Mint User Manual. Read the Linux Mint About page. Read the Wikipedia article. Open up the Synaptic Software Sources. Or maybe INSTALL Mint and look at the installation slideshow? You can very plainly see that Linux Mint isn’t afraid to admit they’re “standing on the shoulders of giants”, particularly Linux itself, the GNU project, Debian (which Ubuntu is based on, but they seem a little afraid to admit it unlike Mint) and Ubuntu are listed. They removed the wallpapers that come with Ubuntu because they want to have THEIR OWN IDENTITY. Is that so much a crime? Oops, I double-posted. Sorry everyone! 1) That’s a post-install script that happens to checks what Linux-based OS you’re running. If you’re using GNOME, open up your system monitor and go to the “system” tab. You’ll see “Release” with the operating system release you’re using right after that. The script fails because it CHECKS for THAT SPECIFIC VARIABLE (or a similar one) and since it says you’re running Mint instead of running Ubuntu specifically, it quits itself. For Pete’s sake, just edit the script to check if you’re running Mint instead of Ubuntu (or remove the whole “checking” part) and I PROMISE it will work 100% CORRECTLY. 4) Read the Linux Mint User Manual. 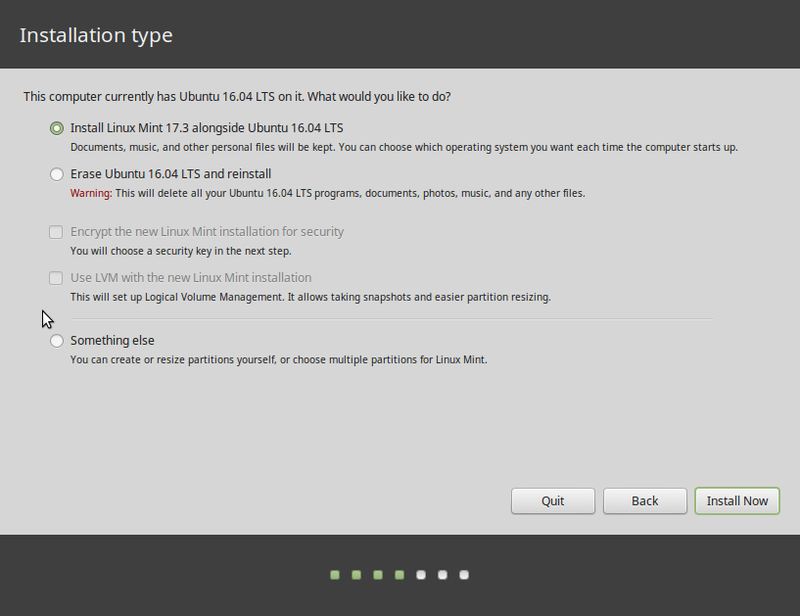 Read the Linux Mint About page. Read the Wikipedia article. Open up the Synaptic Software Sources. Or maybe INSTALL Mint and look at the installation slide-show! You can very plainly see that Linux Mint isn’t afraid to admit they’re “standing on the shoulders of giants”, particularly Linux itself, the GNU project, Debian (which Ubuntu is based on, but they seem a little afraid to admit it unlike Mint) and Ubuntu are listed. They removed the wallpapers that come with Ubuntu because they want to have THEIR OWN IDENTITY. Is that so much a crime? I’m sorry for yelling, but your comments lack very little evidence and it shows how little you actually know about how Linux-based operating systems work. If it’s “so horrible” for Linux Mint to be based on Ubuntu and change things that EVERY OTHER DISTRIBUTION CHANGES, why is it any better for Ubuntu to base itself on Debian and ask people to “support them”? Clem (the Linux Mint project owner) advocates supporting ALL free software, not just Mint! It’s not any worse for Mint to ask people to support them than Parted Magic, Debian, Ubuntu, or anything else to ask to support them for their efforts! If Ubuntu died one day, then Mint would just move on to be based on Debian or Fedora or Arch or something and there won’t be any huge differences because LINUX DISTRIBUTIONS ARE ALMOST 100% INTER-COMPATIBLE BY DESIGN. Get your facts straight. Stop hating on Mint for barely any reason. Realize that Mint isn’t doing anything worse than Ubuntu is doing (if not, then better than them). Linux Mint 9 just came out a couple months ago. I’ve tried it as well. For me, it is full of bugs. However, Mint 8 works perfectly for me. I’ve ran it on two systems… A latest and greatest laptop, and a supped-up 6 year old desktop. It installed every driver on both of these PCs. I’ve also gotten all the apps I need to use working with relative ease on Mint 8. I suggest you try Mint 8 for now, and perhaps wait another couple months before trying Mint 9. Hopefully they’ll get the bugs worked out soon. Other distro’s I’ve used…. Fedora, Gentoo, Mandriva, and Puppy. Gentoo and Fedora are nice for servers, but Puppy and Mint are much better for workstations. Mandriva… I could never get it to work and that was probably around December of last year.